Adults: The recommended starting and target dose for ABILIFY is 10 or 15 mg/day administered on a once-a-day schedule without regard to meals. ABILIFY has been systematically evaluated and shown to be effective in a dose range of 10 to 30 mg/day, when administered as the tablet formulation; however, doses higher than 10 or 15 mg/day were not more effective than 10 or 15 mg/day. Dosage increases should generally not be made before 2 weeks, the time needed to achieve steady-state. Adolescents: The recommended target dose of ABILIFY is 10 mg/day. Aripiprazole was studied in adolescent patients 13 to 17 years of age with schizophrenia at daily doses of 10 mg and 30 mg. The starting daily dose of the tablet formulation in these patients was 2 mg, which was titrated to 5 mg after 2 days and to the target dose of 10 mg after 2 additional days. Subsequent dose increases should be administered in 5 mg increments. The 30 mg/day dose was not shown to be more efficacious than the 10 mg/day dose. ABILIFY can be administered without regard to meals [see CLINICAL STUDIES (14.1)]. Patients should be periodically reassessed to determine the need for maintenance treatment. 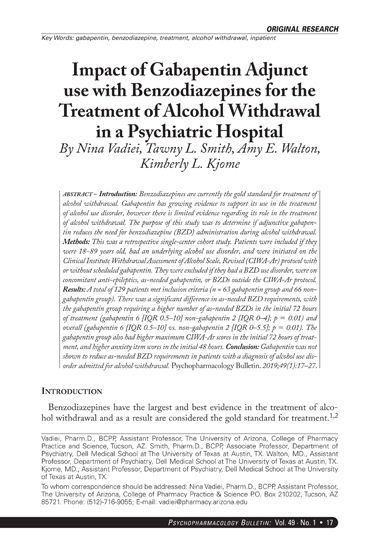 Switching from Other Antipsychotics: There are no systematically collected data to specifically address switching patients with schizophrenia from other antipsychotics to ABILIFY or concerning concomitant administration with other antipsychotics. While immediate discontinuation of the previous antipsychotic treatment may be acceptable for some patients with schizophrenia, more gradual discontinuation may be most appropriate for others. In all cases, the period of overlapping antipsychotic administration should be minimized. The following points are shortened, highlighted information from prescribing information for this drug. For the full prescribing information PDF, click the button below to be directed to the FDA PDF label for this drug. ABILIFY is contraindicated in patients with a history of a hypersensitivity reaction to aripiprazole. Reactions have ranged from pruritus/urticaria to anaphylaxis. Increased Mortality: Elderly patients with dementia-related psychosis treated with antipsychotic drugs are at an increased risk of death. 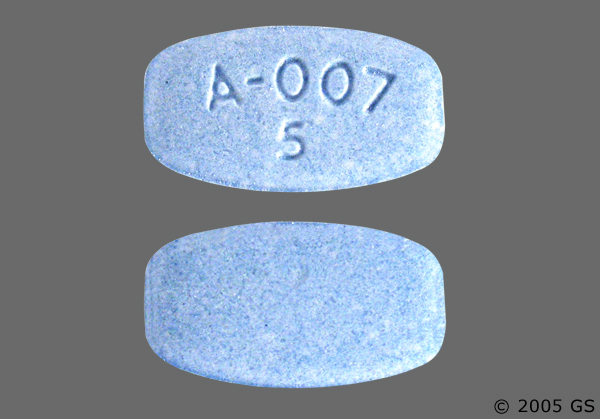 ABILIFY (aripiprazole) is not approved for the treatment of patients with dementia-related psychosis. Cerebrovascular Adverse Events, Including Stroke: In placebo-controlled clinical studies (two flexible dose and one fixed dose study) of dementia-related psychosis, there was an increased incidence of cerebrovascular adverse events (e.g., stroke, transient ischemic attack), including fatalities, in ABILIFY-treated patients (mean age: 84 years; range: 78-88 years). In the fixed-dose study, there was a statistically significant dose response relationship for cerebrovascular adverse events in patients treated with ABILIFY. ABILIFY is not approved for the treatment of patients with dementia-related psychosis. Suicidal Thoughts and Behaviors in Children, Adolescents, and Young Adults: Patients with major depressive disorder (MDD), both adult and pediatric, may experience worsening of their depression and/or the emergence of suicidal ideation and behavior (suicidality) or unusual changes in behavior, whether or not they are taking antidepressant medications, and this risk may persist until significant remission occurs. Suicide is a known risk of depression and certain other psychiatric disorders, and these disorders themselves are the strongest predictors of suicide. 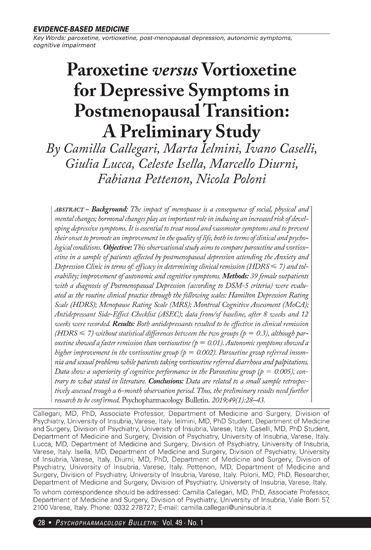 There has been a longstanding concern, however, that antidepressants may have a role in inducing worsening of depression and the emergence of suicidality in certain patients during the early phases of treatment. Pooled analyses of short-term, placebo-controlled trials of antidepressant drugs (SSRIs and others) showed that these drugs increase the risk of suicidal thinking and behavior (suicidality) in children, adolescents, and young adults (ages 18-24) with MDD and other psychiatric disorders. Short-term studies did not show an increase in the risk of suicidality with antidepressants compared to placebo in adults beyond age 24; there was a reduction with antidepressants compared to placebo in adults aged 65 and older. Neuroleptic Malignant Syndrome (NMS): A potentially fatal symptom complex sometimes referred to as Neuroleptic Malignant Syndrome (NMS) may occur with administration of antipsychotic drugs, including ABILIFY. Rare cases of NMS occurred during ABILIFY treatment in the worldwide clinical database. Clinical manifestations of NMS are hyperpyrexia, muscle rigidity, altered mental status, and evidence of autonomic instability (irregular pulse or blood pressure, tachycardia, diaphoresis, and cardiac dysrhythmia). Additional signs may include elevated creatine phosphokinase, myoglobinuria (rhabdomyolysis), and acute renal failure. Tardive Dyskinesia A syndrome of potentially irreversible, involuntary, dyskinetic movements may develop in patients treated with antipsychotic drugs. Although the prevalence of the syndrome appears to be highest among the elderly, especially elderly women, it is impossible to rely upon prevalence estimates to predict, at the inception of antipsychotic treatment, which patients are likely to develop the syndrome. Whether antipsychotic drug products differ in their potential to cause tardive dyskinesia is unknown. Metabolic Changes: Atypical antipsychotic drugs have been associated with metabolic changes that include hyperglycemia/diabetes mellitus, dyslipidemia, and body weight gain. While all drugs in the class have been shown to produce some metabolic changes, each drug has its own specific risk profile. The most common adverse reactions in adult patients in clinical trials (≥10%) were nausea, vomiting, constipation, headache, dizziness, akathisia, anxiety, insomnia, and restlessness. The most common adverse reactions in the pediatric clinical trials (≥10%) were somnolence, headache, vomiting, extrapyramidal disorder, fatigue, increased appetite, insomnia, nausea, nasopharyngitis, and weight increased. 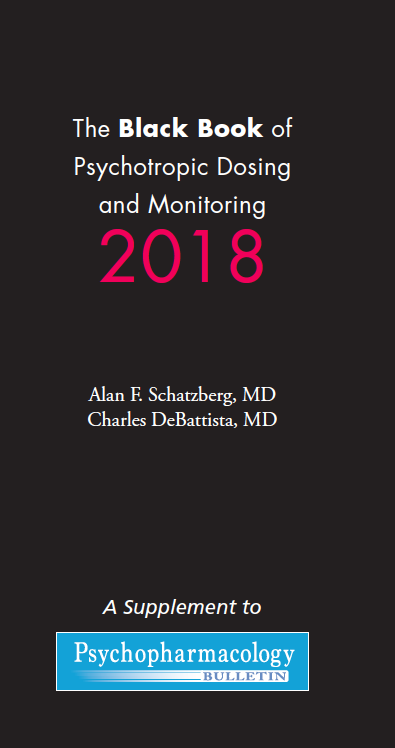 ABILIFY has been evaluated for safety in 13,543 adult patients who participated in multiple-dose, clinical trials in schizophrenia, bipolar disorder, major depressive disorder, Dementia of the Alzheimer’s type, Parkinson’s disease, and alcoholism, and who had approximately 7619 patient-years of exposure to oral ABILIFY and 749 patients with exposure to ABILIFY injection. A total of 3390 patients were treated with oral ABILIFY for at least 180 days and 1933 patients treated with oral ABILIFY had at least 1 year of exposure. ABILIFY has been evaluated for safety in 1,686 patients (6 to 18 years) who participated in multiple-dose, clinical trials in schizophrenia, bipolar mania, autistic disorder, or Tourette’s disorder and who had approximately 1,342 patient-years of exposure to oral ABILIFY. A total of 959 pediatric patients were treated with oral ABILIFY for at least 180 days and 556 pediatric patients treated with oral ABILIFY had at least 1 year of exposure. 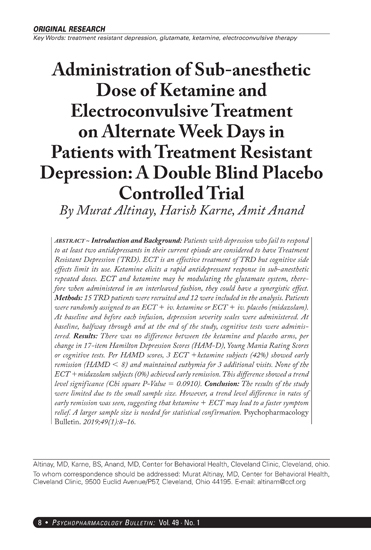 The conditions and duration of treatment with ABILIFY (monotherapy and adjunctive therapy with antidepressants or mood stabilizers) included (in overlapping categories) double-blind, comparative and noncomparative open-label studies, inpatient and outpatient studies, fixed- and flexible-dose studies, and short- and longer-term exposure. For more information on this drug and dozens of other leading psychotropics, see our 2018 Black Book of Psychotropic Dosing and Monitoring. Available as a digital PDF download.